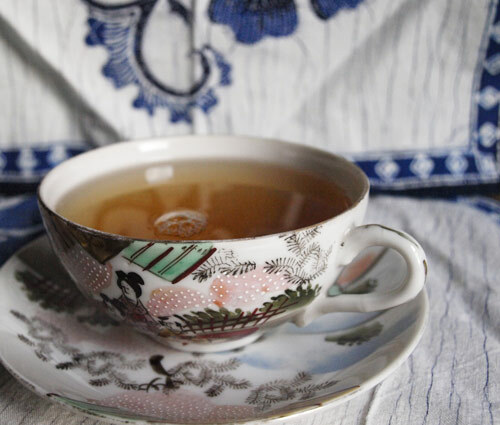 I can remember drinking Earl Grey with my Mum when I was in my teens and also asking for a pot of chinese tea to drink with a chinese meal we ate on holiday in Torquay. The first gift my husband gave me was a tin of Gunpowder Green Chinese Tea, so you can see that tea is something I am quite passionate about. TeaVivre is a company run by a group of tea lovers and aficionados from China, Canada and France, who all share a passion for drinking great tea and appreciate the healthy life style it brings. They all live in China, and frequently travel through the country visiting China's tea plantations so they can track down only truly exceptional teas. 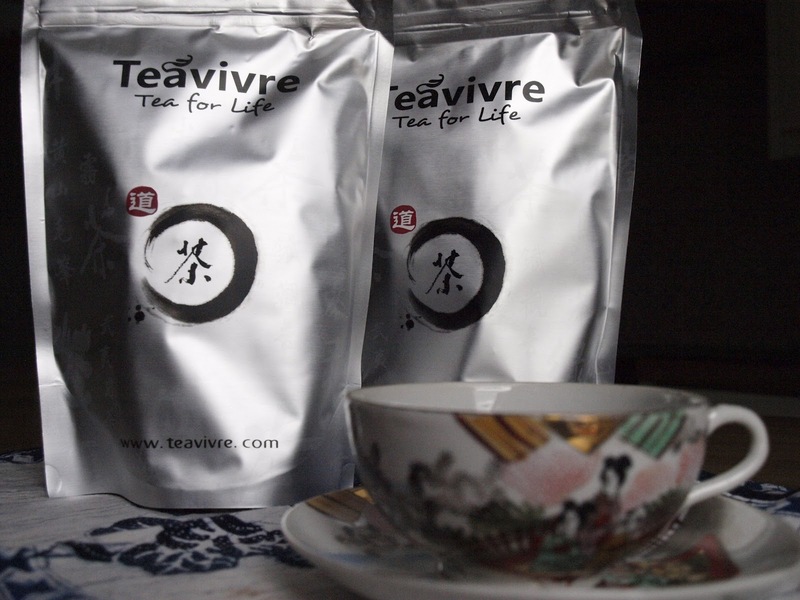 As a result TeaVivre are able to bring to us the absolute highest quality Chinese teas that are, wherever possible, 100% organically grown and produced. Jasmine “Dragon Pearls” is a deliciously sweet green tea that combines the absolute highest quality green tea with a jasmine aroma and taste. Made from one unopened bud and one small leaf, this tea hand rolled into small balls, which slowly unfurl during brewing, releasing an amazing taste and aroma combination of green tea and sweet jasmine. 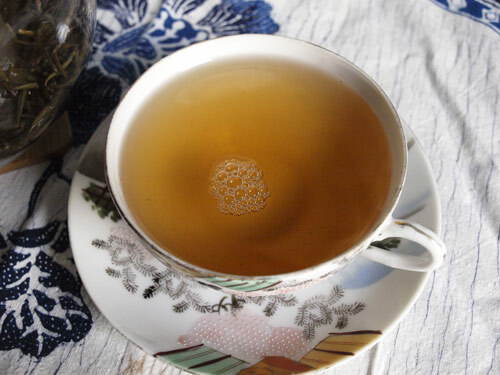 Brewing a cup of this sweet, fragrant tea only requires a few tiny pearls! 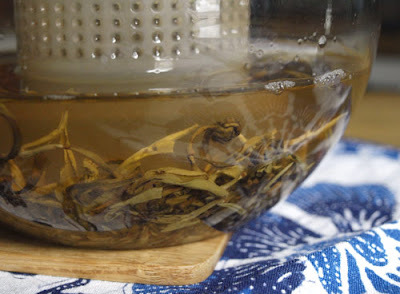 Zheng Shan Xiao Zhong (Lapsang Souchong) used pine wood or pine charcoal from Tongmu kuan in Wuyi mountain as materials. Because black tea has a strong capability of absorption, while pine charcoal will release plenty of smoke when burning. So the Lapsang Souchong, produced by hands and machines, has a heavy flavor of smoked and pine, which is suitable for people who prefer strong flavor. I'm looking forward to trying more of the tea samples and reviving my taste for exotic tea. TeaVivre ships to the UK, be sure to change the currency indicator, in the top right of the web page, to GBP to see the prices in sterling. The Green Tea Assortment costs £7.40 and the Black Tea Assortment is £6.50, shipping costs depend on the weight of the parcel, but start at £2.70. This might seem expensive but given the outstanding quality of the tea and the fact that you could easily pay that for a bottle of wine, it is really not such a high price to pay. I think any of these teas would be the ideal gift for a tea connoisseur. 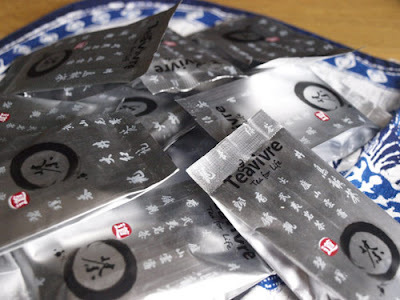 Disclaimer: I was supplied with the Black and Green Tea Assortments by TeaVivre.. I was not required to write a positive review and any opinion expressed is my own..
Great review. I love tea too. Green tea is my thing at the moment and also jasmin. Great to bake cakes with too! I haven't heard of this brand before, would be curious to try. Love your cup and saucer, very pretty. I have tried the Jasmine Dragon Pearls Green Tea and they are AMAZING. Love them. I am a tea drinker (can't stand coffee!) but I am a relative new comer to green teas, wish I had tried them years before I did. Great review.